The OpenStack Foundation announced the 11th release of the open source OpenStack infrastructure as a service (IaaS) platform. This latest release, known as OpenStack Kilo, brings a number of new features, including enhanced stability, support for bare-metal provisioning, better scalability and more. Top contributions to OpenStack Kilo come from partners like Red Hat, HP, IBM, Yahoo!, Rackspace, and SUSE. OpenStack is made up of a number of projects, including the Nova compute engine, the Swift storage system for files and objects, Cinder for block storage, Neutron for networking, along with the Horizon dashboard to administer the OpenStack IaaS. OpenStack can also be managed via command line tools and a RESTful APIs. The OpenStack Kilo release brings a number of new enhancements to OpenStack. The Nova compute project features an improved API structure. The new API, v2.1 retains backwards compatibility with v2.0 and adds strong API validation, making it easier for developers to create long-lived applications. REST API microversion support allows for incremental evolution of the API. 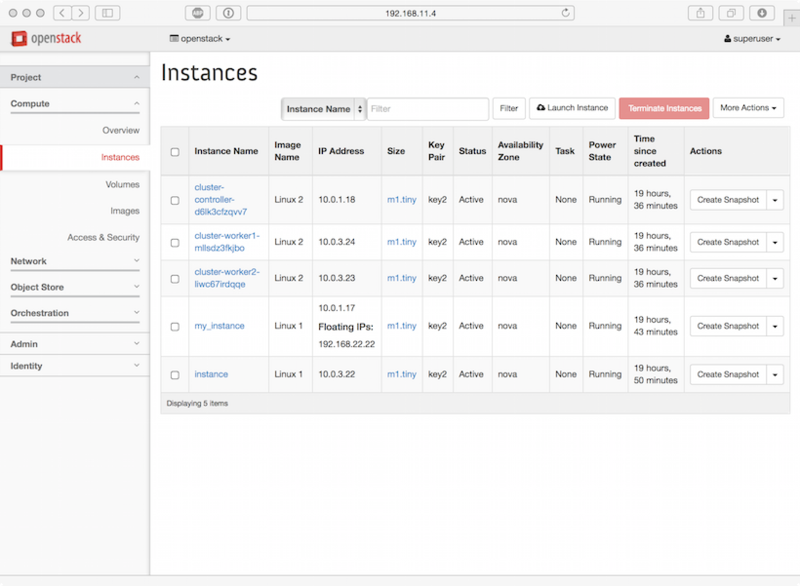 OpenStack Kilo marks the release of the first full version of the Ironic bare-metal provisioning capabilities. Ironic allows for the provisioning of bare-metal machines for use in high performance computing, database hosting or computing tasks that require access to specific hardware. Ironic makes the provisioning of physical servers as easy as that of virtual machines. New storage features in OpenStack include enhancements to both the Swift object storage, and Cinder block storage projects. Swift object storage now features erasure-coding (EC) for higher durability storage that uses less raw capacity. Updates to the Cinder block storage component deliver enhanced consistency features, and the ability to attach Cinder storage volumes to multiple compute instances. The OpenStack Neutron networking as a service component includes the second version of its load balancing as a service API. Neutron also offers support for new plugins, including those from A10 Networks, Brocade, Cisco, DragonFlow, Freescale and more. The OpenStack Kilo release is available for immediate download from from the OpenStack Foundation at OpenStack.org.